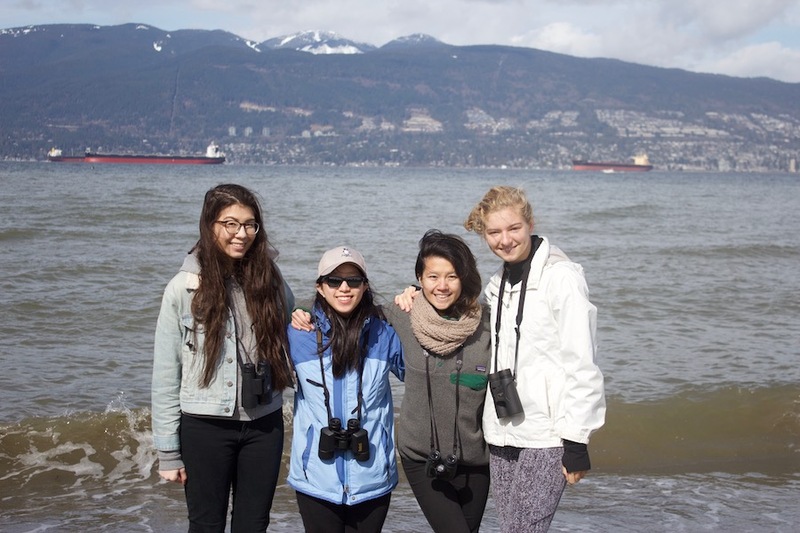 This capstone project demonstrates the benefits of a bee awareness centre in the False Creek Flats, Vancouver, which provides workshops, tours, a restaurant, and retail space for public education on environmental and economical impacts of bee colonies and their threatened future in Canada. Colony Collapse Disorder is an unintended consequence of poor agricultural methods are disrupting the ecosystem we depend on. The public does not realize that concrete jungles are growing while their original inhabitants are disappearing. What was once a solution in the past is now a problem in the present, and the cure lies within the healthy synergy between us and the bees. This centre serves to educate the public about the importance of working with honeybees to improve our ecosystem. A symbiotic relationship between honeybees and humans will thrive and benefit the community while reducing CCD. It is welcome to all community members, from the low income to the working class, individuals and families, to learn through workshops, tours, a restaurant, and retail space. 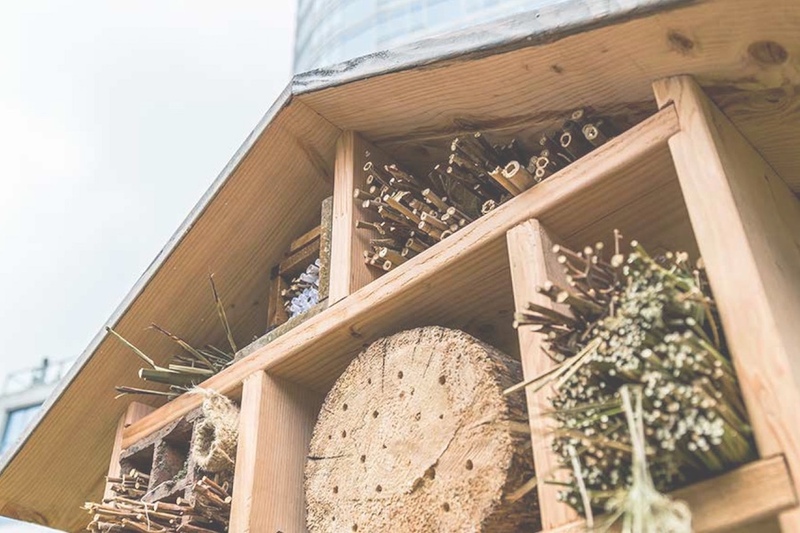 The centre’s initiative is to take the first big step in rebuilding bee colonies in Vancouver and to gather all bee enthusiasts to join in on this positive impact for the city. From this project, not only have I grown attached to bees, but have realized their importance to our environment and economy. I have become more familiar with Vancouver’s 2020 Greenest City Initiative during my location analysis research and design process. 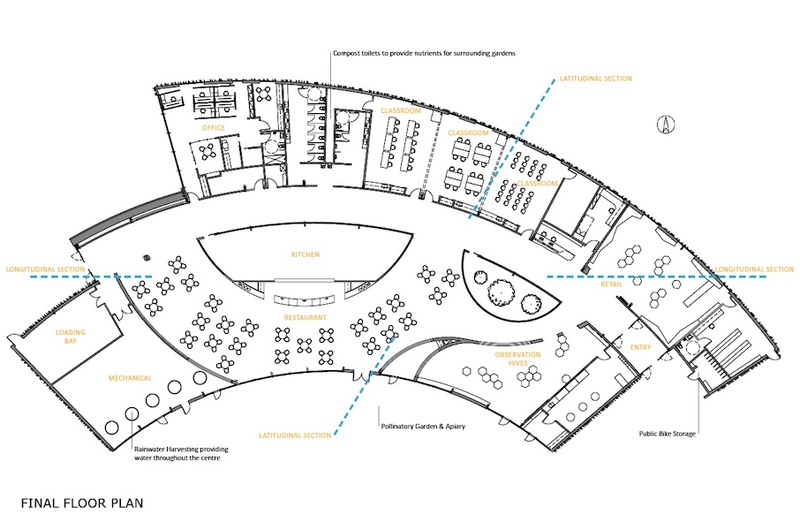 My project has informed me the great need and feasibility for Honey Leaf + Bumble in Vancouver and will create a sustainable, educational, and environmentally-friendly space for both humans and bees to thrive in. During the course of my project, the bees were wintering. Now that my term and project is completed, the bees are beginning to actively work around Vancouver and will be the best time for me to contribute to local beekeeping practices and advocate my proposal. I have engaged with local beekeeper Allen Garr, architect Jim Huffman, Fairmont Waterfront Arc Restaurant, Hives for Humanity, and Science World with regards to my project and they are all very interested and on board with my proposal. False Creek Flats is being redeveloped and as important as the demand for housing may be, our natural environment is also very important and should be highlighted in the city. 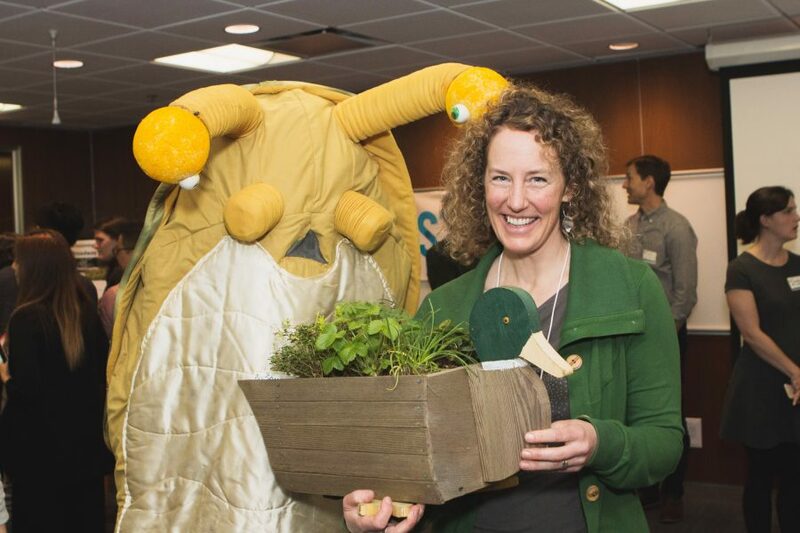 UBC SALA has collaborated with City of Vancouver and CityStudios in creating the pollinator garden at Pike and 5th. As I continue my education at UBC’s Master of Architecture program, I am hoping to spend time to develop my proposal as I gain more knowledge in the construction industry.